About the documentary – Shots In The Dark, Silence on Vaccine: ‘‘Following the increase in cases of autism and other immune disorders among some particularly vulnerable people, several recognized specialists are questioning the safety of large-scale vaccination. Despite the serious side effects, pharmaceutical companies, the medical profession and government authorities continue to bury their heads in the sand, refusing to see a serious problem. In Quebec, the United States and France, as in most industrialized countries, victims are almost without recourse despite the high toxicity of substances such as mercury and aluminum contained in vaccines. With this hard-hitting documentary, Lina B. Moreco highlights a very worrying public health problem (…) few studies independent of the pharmaceutical industry have been conducted into their long-term side effects. This is a disturbing situation given the numerous toxins, including mercury and aluminum, contained in some commonly administered vaccines. Despite these findings, the pharmaceutical industry and government authorities deny there is a serious problem. Relying on perfunctory studies, some of which date back to the late 1920s, they reject out of hand any cause-and-effect relationship. Given the known fact that adding preservatives such as thimerosal (mercury) helps reduce production costs, the reaction of the pharmaceutical industry is at the very least puzzling. 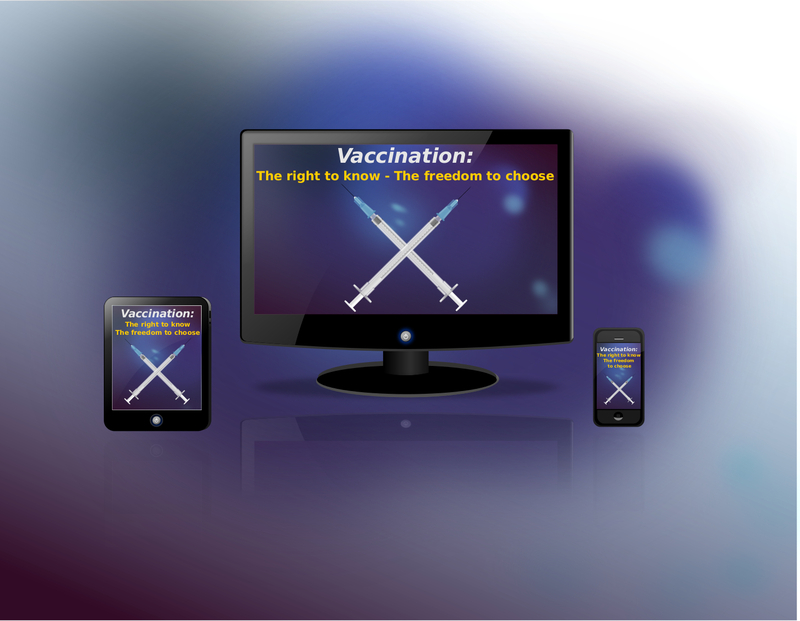 2. http://www.nvic.org/NVIC-Vaccine-News/November-2014/Vaccination–Defending-Your-Right-to-Know-and-Free.aspx – Copyright 1982-2014 National Vaccine Information Center. All Rights Reserved. Disclaimer: The views expressed in this article and videos are the sole responsibility of the author(s) and do not necessarily reflect those of CanadaNewsLibre. The contents of this article and videos are of sole responsibility of the author(s). CanadaNewsLibre will not be responsible or liable for any inaccurate or incorrect statements. The CNL grants permission to cross-post original CanadaNewsLibre articles and videos on community internet sites as long as the text & title are not modified. The source and the author’s copyright must be displayed. canadanewslibre.com may contain copyrighted material the use of which has not always been specifically authorized by the copyright owner. We are making such material available to our readers under the provisions of “fair use” in an effort to advance a better understanding of political, economic and social issues. The material on this site is distributed without profit to those who have expressed a prior interest in receiving it for research and educational purposes. If you wish to use copyrighted material for purposes other than “fair use” you must request permission from the copyright owner. This entry was posted in Alternative Health, Science and Technology and tagged aluminum, freedom, inalienable, mercury, right to know, Shots In The Dark, Silence on Vaccine, vaccination by cnlib. Bookmark the permalink.